Situated in the Indian Ocean is the gorgeous island nation of the Maldives. With over 1,192 coral islands, it is one of the world’s most dispersed countries, with a population of over 409,000. Maldives offers you a dreamy beach holiday. 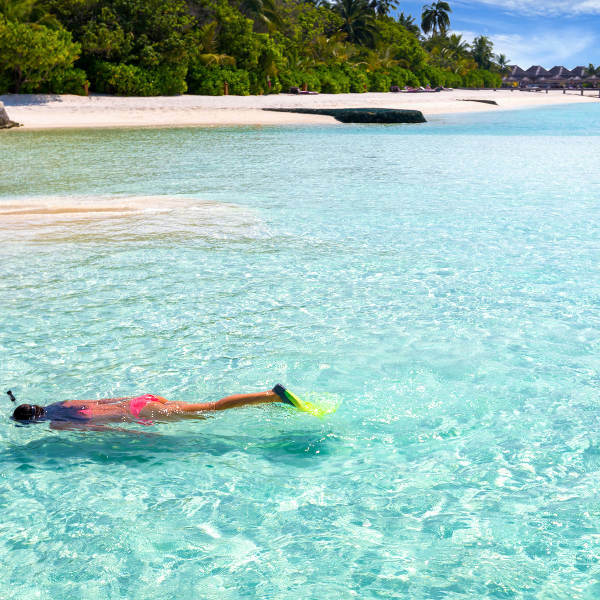 Its top attractions include Veligandu Island Beach, Alimatha Island in Vaavu Atoll and Hukuru Miskiiy in Malé. Start packing your hats and sun screen, because cheap flights to the Maldives are available for a limited time! Maldives’s hub airport is Velana International Airport (MLE), which is a 35-minute boat and taxi ride from the city centre of the capital, Malé. MLE serves several airlines, including Emirates Airlines, Qatar Airways and Etihad Airlines. Popular flights depart from Johannesburg and Cape Town to Malé. Flight duration from Johannesburg to Malé is approximately 13 hours, 45 minutes. Relax on one of the many lovely coastlines available at many of the nation’s scenic islands. Soak up the sun at venues such as Veligandu Island Beach, Bikini Beach in Rasdhoo and Hulhumalé Beach. 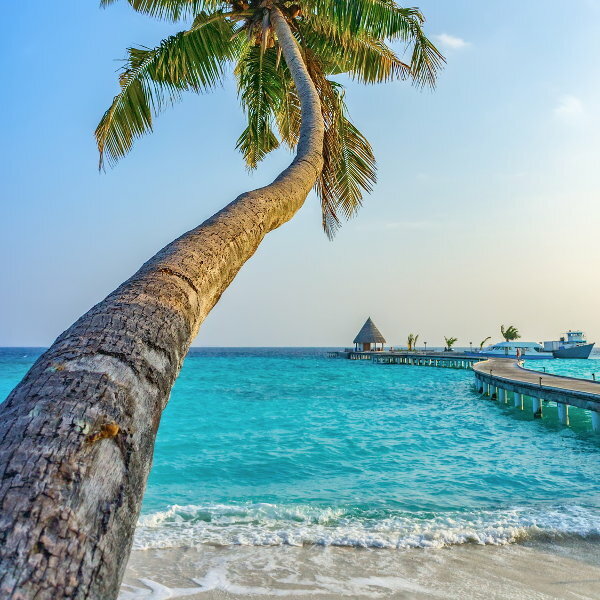 As an island destination, the Maldives offers wonderful experiences out on the waters of the Indian Ocean, with activities such as surfing, windsurfing, kitesurfing, jet skiing, snorkelling and scuba diving. A deeper exploration of the waters around the Maldives will lead you to memorable encounters with a variety of exceptional creatures, including parrotfish, eagle rays and over 200 species of crustaceans. The Maldives experiences two seasons currently: the dry season (November – April) and the wet season (May – October). The most popular time for this collection of islands is between December and March. While you will never experience overcrowding, room rates will reach their peak during this part of the dry season. Visiting during the beginning and end of the season (November and April) will help you get better room rates. For more deals on rooms, visit the Maldives during the wet season. There are brief periods of heavy rains, but storms tend to move quickly over the islands. The temperatures sit around the mid-20s to mid-30s during this period, guaranteeing pleasant conditions during the dry spells. This season also provides the best opportunities for surfing and scuba diving. Book a holiday experience in the Maldives and discover why this small yet widely dispersed nation is such a leading tourist destination. This island country, part of Asia, is famous for its stunning beaches, pristine white sands and enchanting cyan-blue waters. Simple treasures like these are what bring around 1 million visitors each year. The capital, Malé, includes a central island, the island for its airport and two other islands. It is the economic heart of the nation, an energetic scene that contrasts with the laid-back experience you will find at the various resorts within the Maldives. Its major attractions include Artificial Beach, the National Museum and ferry transfers to the other atolls of the country’s variety of islands. Discover all the high-end resorts of the Maldives, with more than 100 to choose from. Deciding on one may prove difficult as they all offer the luxurious accommodation experience, with private pools and in-room massages. Other islands are perfect for adventurers, families and even those determined to stick to a certain budget. All in all, the Maldives offer you the wonderful and memorable experience of getting back to nature. 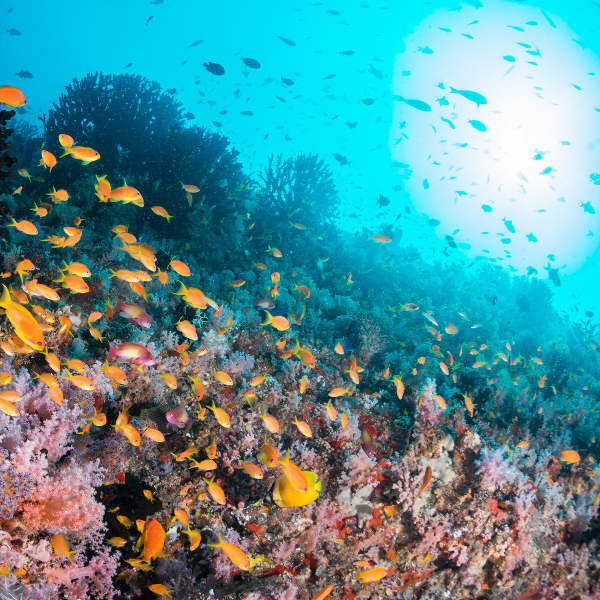 Besides relaxing on the beaches and reclining in comfort at a resort, the Maldives offers some of the best diving and snorkelling opportunities in the world. The crystal-clear and warm waters of the Indian Ocean will lure you in as you go for an adventure exploring spectacular coral reefs and meeting exotic marine wildlife, such as stingrays, oriental sweetlips and whale sharks. Compare several airlines and book your cheap flights to the Maldives online at Travelstart! South African passport holders will need a visa to enter the Maldives. This visa will be issued to you on arrival and be valid for 30 days. Additionally, your passport must be valid for six months after your return date and have two blank pages available for entry stamps. The South African Honorary Consulate is in Malé. Get all the routine vaccinations four to six weeks before you depart for the Maldives. Other diseases that you may need to guard against include hepatitis A and typhoid (transmitted through contaminated food and water), hepatitis B (transmitted through sexual contact, contaminated needles and blood products) and Zika (transmitted through mosquito bites and sexual contact). There is no risk of yellow fever in the Maldives, but the government of the Maldives requires proof of yellow fever vaccinations, if you have come from a country where this disease is a problem. The Maldives is a relatively safe nation. With a growing drug problem, however, petty crime has become an issue. Make sure that your valuables are in a safe and secure spot, and well out of sight. As an Islamic state, conservative views dominate the Maldives. Refrain from displaying affection in the open. The LGBT community should take care, as homosexuality is illegal in this country.